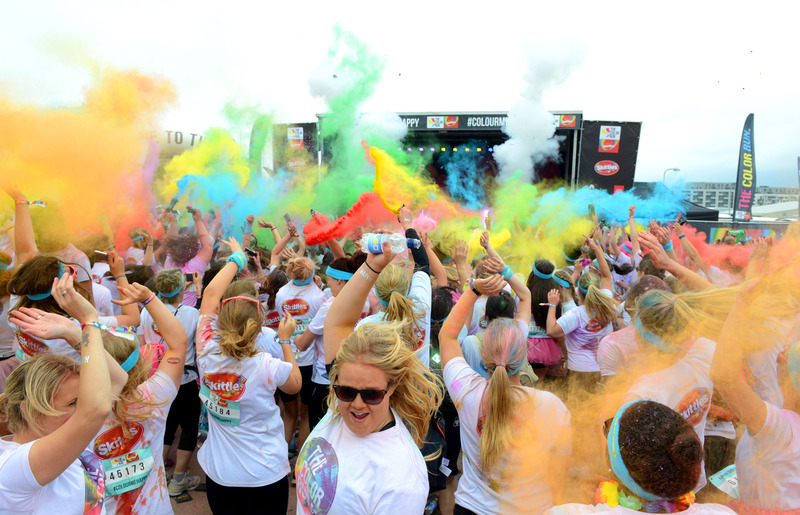 Fancy running the happiest 5k on the planet? Do you love to run but fancy making your next race a bit more fun? Perhaps you are looking for something different to do with the children or even your colleagues. What about The Colour Run? 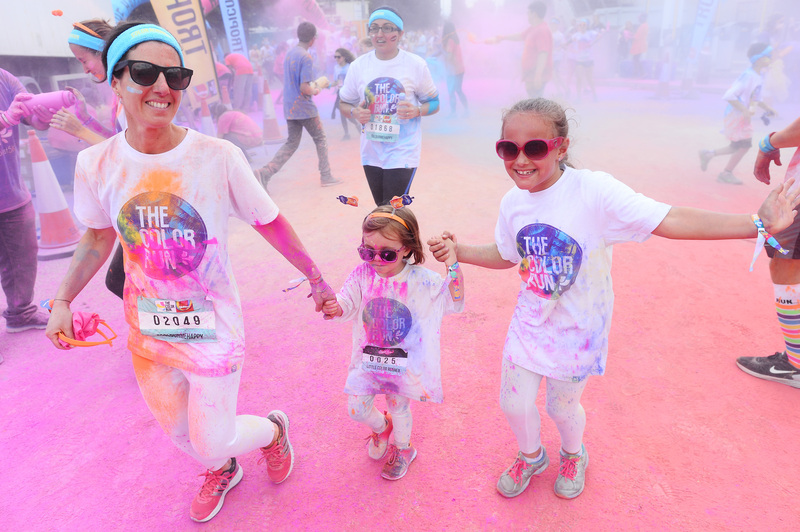 Known as the happiest 5k on the planet, follow the fun on #HAPPIEST5K. The Color Run is the original, largest and most unique 5k colour fun run in the world which celebrates healthiness, happiness, friendship and having the time of your life! Sounds good doesn’t it? You can enter easily online. 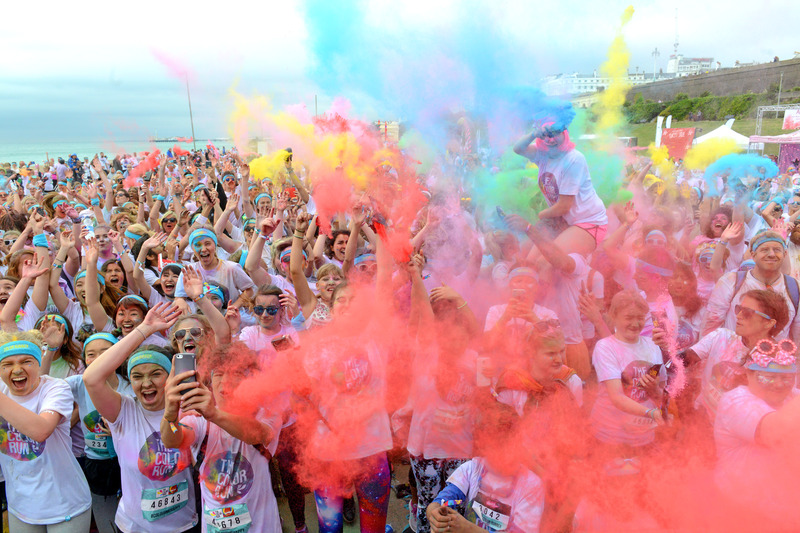 Thousands of Color Runners start the day in a special edition white t-shirt, getting covered from head to toe in a rainbow of colours at five stations around the course. Oh and don’t panic, if you think this sounds like fun but you aren’t a runner…you don’t even have to run! You can choose to run, walk, skip or dance your way around the course. It’s all about the fun and what gives you the biggest smiles! Cartwheel if you want to, just have a blast. Bring the children, even the smallest legs are welcome! What about the amazing ‘Color Throws’? The fun continues at the epic Finish Festival. This includes an awesome mix of DJs, MCs, the truly famous ‘Color Throws’ and a host of ‘Color Crazy’ giveaways – the finish festival is a great to celebrate with your friends and family. This is the best 5k party on the planet. The overall focus of each Colour Run is just to have fun BUT the focus is also on promoting a healthy lifestyle. More than half of participants are first-time 5k runners and the event is making headway on the national focus of improving health and wellness. The hope is that The Color Run 5k event will be able to act as a catalyst for participants to live an active, healthy lifestyle. Seeing how happy The Color Run has made people has been tremendously rewarding for the organisers. It is an event for all fitness levels, ages and backgrounds. The Colour Run is now the single largest event series in the world, having exploded since the debut event. The runs are now in over 200 cities and 40 countries. Amazing, and YOU could be a part of this! Fancy it? We’d love to see you there! London, Manchester or Brighton – you decide! I did this once, and it was so much fun! I walked the whole way because I’m not a runner, but a lot of people were walking it.